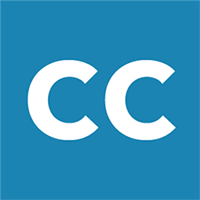 CamCard App Review: Quickly & Easily Store and Find Your Business Contacts | West Loh on Leverage, Automation and Outsourcing Strategies, 100% Free! And welcome to the CamCard iPhone app review. This is West reporting in and thank you for joining me. Now, CamCard is an app—a professional business card reading app—that has high quality, high accuracy scans that can pretty much turn your iPhone or mobile device into a comprehensive business card holder. It also allows you to easily and quickly find your business contacts. And it can also save your contacts into just a business card holder in this app or it can actually save it to your phone contacts so you can contact them anytime from your phone. Now I’m going to take just a few minutes to give you a tour of the app and then give you some ideas on how you could possibly make best use of the app, as I always do in these app reviews. And hopefully, you can take it and run with it and use it. So it’s a pretty simple interface when you first come into the app. This is the face that happens when you open it up—Take Photos, Select Photos, Signature and Cardolder List—work through those bit by bit. Now first, obviously, TAKE PHOTOS, if you tap on that, it’s going to ask you to actually take a photo of the business card. So I’m just going to go ahead and get out of that because I’m not taking a card now. I might actually do one a little bit later in this review. Or SELECT PHOTO. So you’ve already taken one. You can select a photo and it’ll scan that. The SIGNATURE on here is if someone sends you an email and you’ve got it on your iPhone app, you’ve got it on your iPhone, then you can just basically copy and paste their email and their email signature. And when you tap RECOGNIZE up here , this CamCard reader will actually recognize and include it in your contacts, which is pretty cool. So even if you haven’t got someone’s business card but you send an email and you’d be corresponding with them and they’re a good contact and they’ve got their details in and their signature, just copy that, paste it here and it becomes an automatic contact. The CARDHOLDER is where you’ve already scanned your cards. And here’s a few that I’ve done already. If I tap on the actual person’s contact, it opens up the actual person’s scan that I’ve done. And it then allows me to do a few things. It allows me to call them direct, it allows me to SMS them, it allows me to email them or connect on any of the networks or go to their webpage or homepage or connect on LinkedIn. So all these details—this is obviously the scan—but CamCard has converted all the scans into text and put it in the Cardholder and store it for easy recognition later on. So obviously, you can delete if you want to. You can email the card. You can share it with someone, rotate it, and I’m assuming this one means edit. So here’s the text that is actually recognized. and I haven’t added anything at all. I haven’t edited anything. This is purely from the scan. And if you just scroll down, it’s pretty damn accurate with what it’s actually done. It’s made from the same makers as CamScanner, one of the top scanning apps which I reviewed in the past app reviews. So you can’t go wrong with this company. And so that’s all you need to do, basically, is take a photo of a business card then you can contact them, you can reach them anytime in your Cardholder and if the scan doesn’t come out a hundred percent, you can edit it. You just need to check. You’re obviously going to always need to check it. So if we go back to ALL CARDS here, what we can also do once we’ve got our Cardholder, now let’s assume I’ve scanned hundreds of cards and I need to be able to find somebody, I can then sort by Name, Date, Company or just search for whatever it is I need to search for and it’ll find it for me. So it’s really well‑organized and I’ve actually got at home six or seven full business card holders—physical ones—anywhere from 50 to 200 cards in each one. I’m considering scanning them all but a lot of them are out of date. But from now on, I’m definitely never going down that path again and it’s definitely going to be in digital form. So let’s just take a real quick look at some of these icons down the bottom. This one here gives you a few options and settings on saving the image or not, how to order them, backing up and restoring your scans. This one talks about the app itself: about the app, etcetera, etcetera, contact details of the company. And this one gives you a bit of a manual and teaches you how to best use the app. This one’s actually clickable as well. And it’s just a bit of an advertisement for some of the other apps that this company produces. So how can you use CamCard for your professional purposes? And obviously, it’s self‑explanatory. This is a business card scanner and holder. But I thought I’d throw some ideas at you on how you can actually use it. Now the obvious thing to do would be to, when you’re going out, when you’re networking, when you go into conventions, any dinners, breakfasts—I’ve been to a lot of business breakfasts where people don’t have a lot of time and some people run out of business cards when they come to networking events, which is crazy but happens very, very often—you can just basically get a scan of their card and you don’t have to worry about it anyway because you don’t want to be carrying the cards anyway. So instead of actually scanning each card and recognizing it, etcetera, you can basically just go to your camera app and take photos of them and you can scan them later. That’s a good way that I found to save you a lot of time. Because if you actually take a photo now, what it does is it asks you to resize it and it asks you to change the orientation. And it’s just a lot of time that is wasted that you need to be out there networking with people. So that’s how you do it. Obviously, you know, at the airport, you meet some great people there. At golf clubs, I’ve met some great people there. On business trips… Always keep your eyes and ears open for when you can meet people who can help you in your business or could be a potential client or customer. And as I was saying before, if you’ve got a big stash of business cards that are taking up a lot of space or collecting dust or contacts that you actually like to keep in touch with and contact, you couldn’t be bothered opening your business card reader every time you want to contact them, then this could be a great option. I mean you can spend an hour, just put aside an hour, you can scan probably hundreds of cards in an hour. It’s pretty quick, the way that this processes cards. And then you can have your contacts at your fingertips. So it’s a pretty quick review today. But I have to say this app has really impressed me. I’ve compared it against probably four or five of the other top business card reader apps and this one has come up trumps for me for its simplicity and its accuracy. The other ones are pretty good too. But this one, for me, is number one and that’s why I’m bringing it to you guys and highly recommending it. I’m giving a 95%. It’s one of the best cam business card reader apps and I highly recommend you take it and have it as an essential tool on your iPhone. So thanks for listening to this app review and I’ll see you in the next video. * Generate QR Code from the card image.